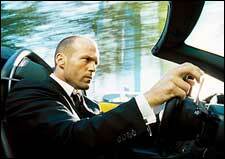 Transporter 2, an English movie, is not currently screening in Hyderabad. Traditionally, even the most undiluted action movies used to be troubled to think up some logic to explain their lawless (both physical and legal) acrobatics. Some really good logic, I might add - sometimes the logic itself was half the fun, sometimes all, but in all the cases it was the logic that sorta held together the fabric of the movie. Without the logic, it was shreds. fullhyd.com has 700,000+ monthly visits. Tell Hyderabad what you feel about Transporter 2, and then also see all user reviews for Transporter 2!